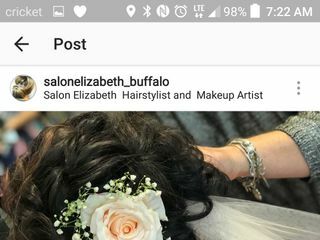 Elizabeth Dugan Hairstylist and Airbrush Makeup Artist ~ Salon Elizabeth ~ is a beauty and health business based in East Aurora, New York. 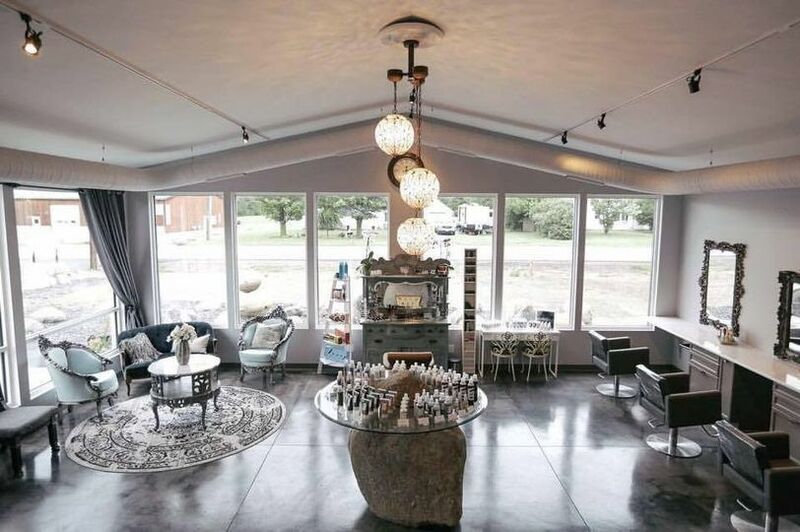 Owner and stylist Lizzy Dugan can serve couples both in her salon or on location. 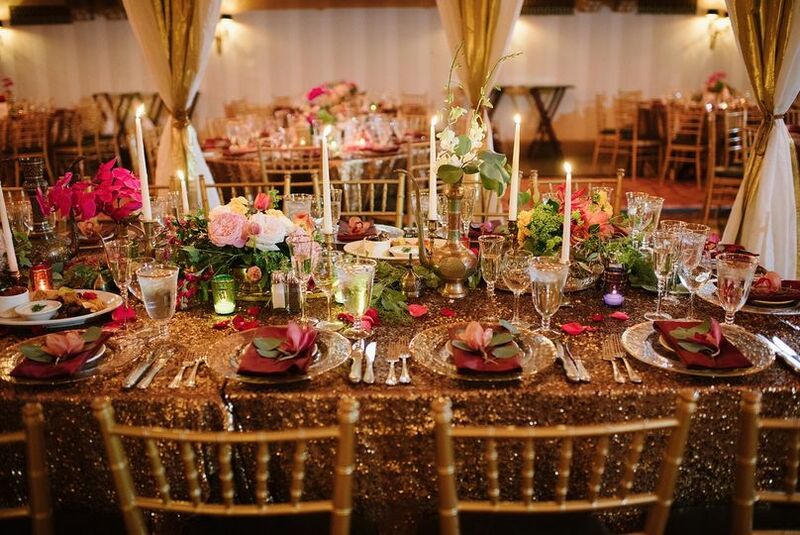 Her 1,500-square-foot sophisticated salon provides the perfect setting for brides to gather with their wedding party. There is a deluxe bridal suite at the salon where you can all privately gather together. 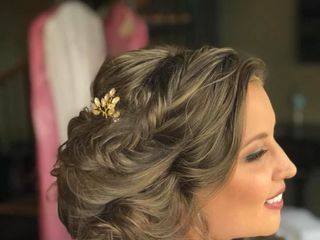 If you would like, Lizzy can also travel to your wedding site to provide you and your wedding party with her hair and makeup services. 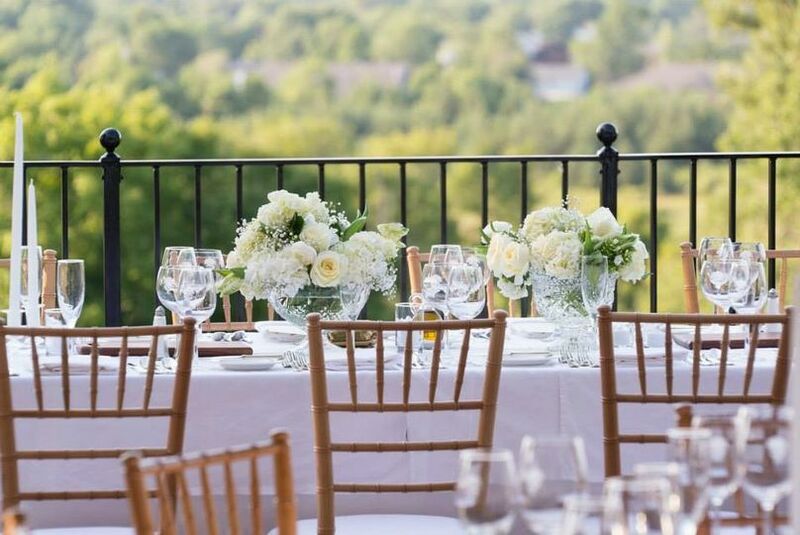 I could not be happier with the services Lizzy provided for my wedding. 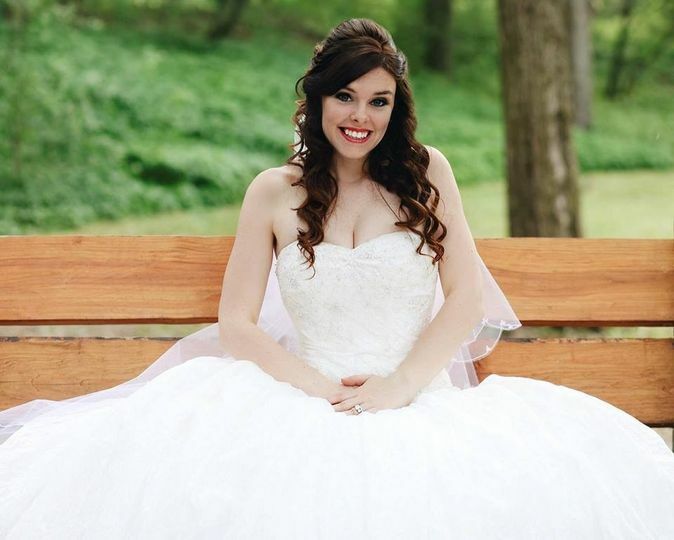 I hired her for hair and makeup for me, 2 bridesmaids, and my mother. She also did a run through trial for me and my matron of honor. 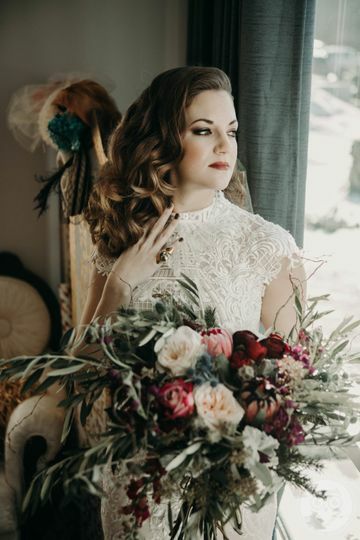 She was extremely flexible - I planned my wedding from Seattle and she helped me through every detail... so much so that anything hair or makeup related on the days leading up to the wedding were flawless. 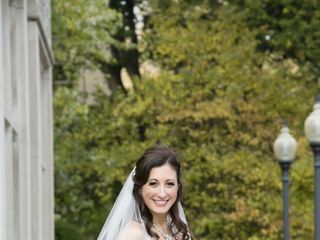 Lizzy also was able to come to my wedding location and we had a blast - her professionalism is impeccable, but that doesn't mean she's stiff! We sang Beatles songs and enjoyed lots of snacks and girl talk as we got all dolled up. She even gave me a few freebies to keep my makeup looking fresh throughout the wedding day. 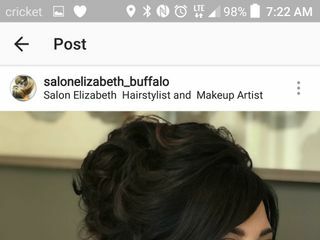 All in all, I have already contacted her requesting more services once I move to Buffalo in a few months - a full makeover - only because I trust her that much. I truly recommend Lizzy's services, she does what YOU want, and not the other way around... and she'll make you feel great about it everytime! 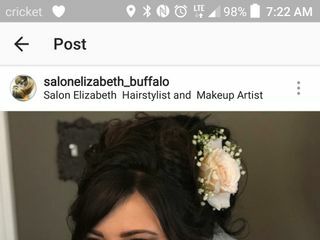 I booked Elizabeth for my hair and makeup the day of my wedding along with my mom and my mother in law. Elizabeth was so flexible and responsive. 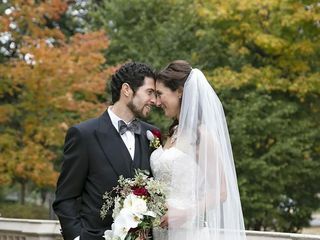 As an out of town bride I didn't have the time to come and get trial services done. Elizabeth assured me I would be fine and took all my multiple calls to walk me through the process and discuss my look. 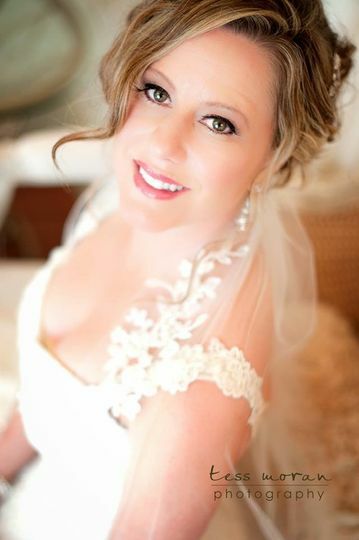 The day of the wedding she was right on time and the hair and makeup were stunning and lasted all night long! I was really nervous the makeup would smear or my hair would fall out as I love to dance and planned on doing a lot of it. However by 2am everything still looked perfect! Both of my moms loved their hair and makeup as well. 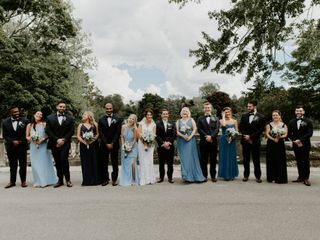 We all looked gorgeous. I would strongly recommend you book with this salon! Lizzy and her team were amazing! One of the main things that attracted me to Salon Elizabeth was their bridal suite. You have a place to change, eat something, and just enjoy your time while you are all getting ready. Lizzy and her team are so talented. All of my ladies looked stunning. The makeup they use is top quality. 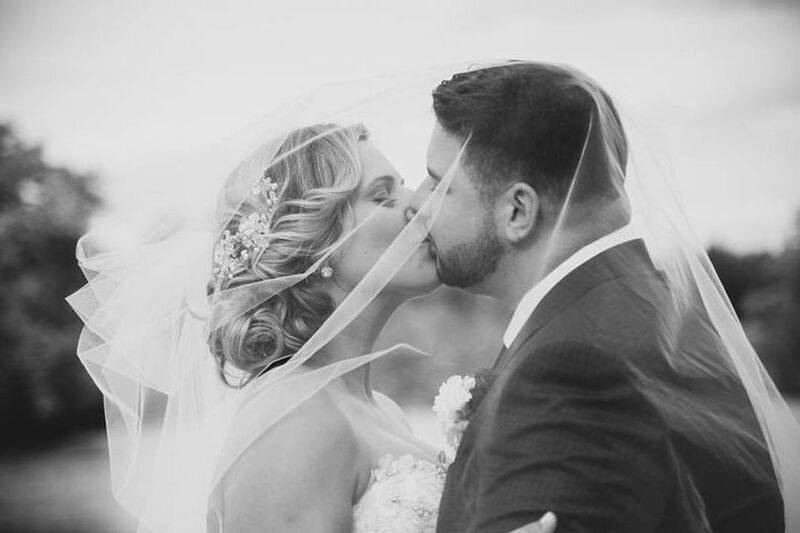 Lizzy makes you feel so comfortable and works with you to make your vision come to life! 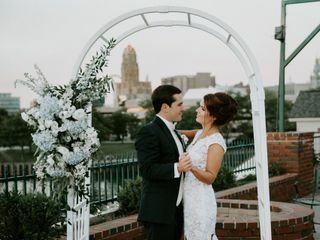 I was planning my wedding out of state and Lizzy was so wonderful about responding to emails and any questions I had. 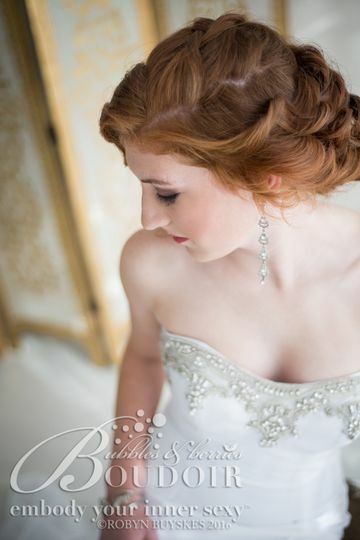 Also, the inside and outside of the salon is such a beautiful backdrop for photos. I would 10/10 recommend Salon Elizabeth for your wedding. 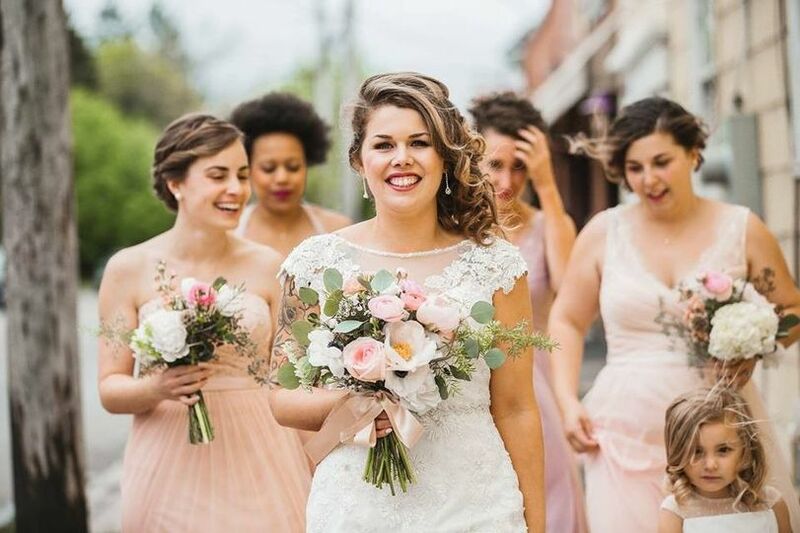 Flourish has had the privilege of working with and seeing the beautiful results of our Brides & bridesmaids who have utilized Elizabeth&apos;s talent & services for their weddings. Lizzy is an incredible stylist. Forget about tight oppressing buns and caked on makeup. Her style is natural and elegant, yet flawless. 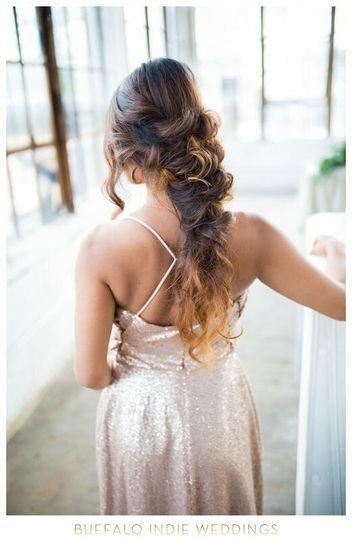 I absolutely love her lose braids and curls. 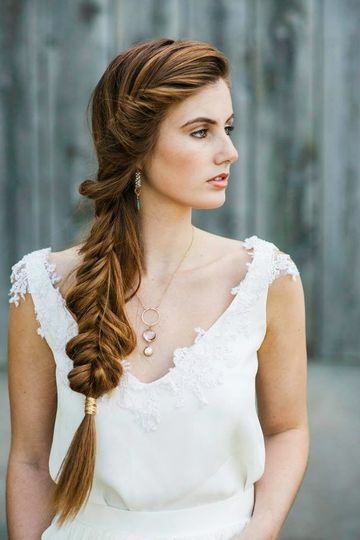 I&apos;d definitely recommend her to all of my brides!